I’m always trying to think up fun activities for kids since I have five of them to keep occupied! Also, after volunteering and working in schools for years, I realized that having a ready list of fun ideas is essential when you’re working with large groups of kids. 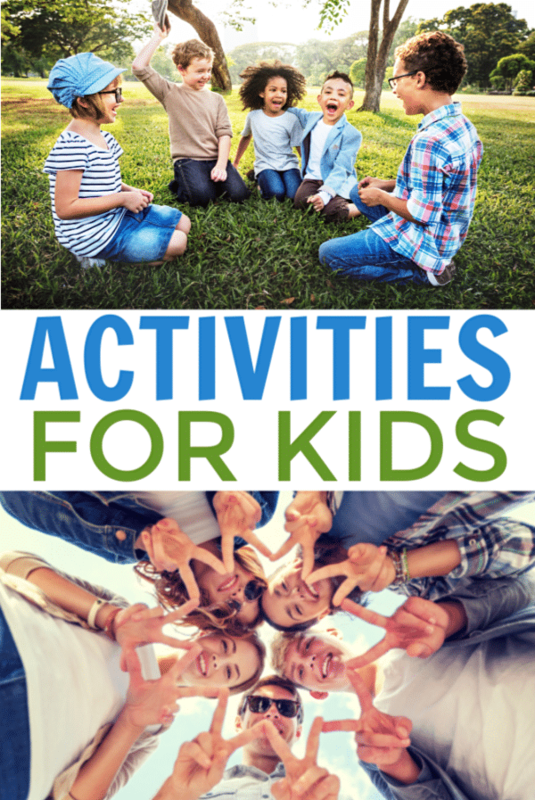 So, whether you are looking for activities to occupy your own kids, or you have to entertain an entire classroom, you’ll find several activities for kids below that you can use! 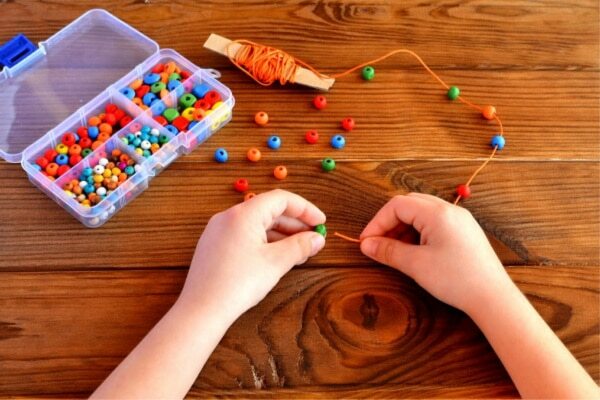 Whether your kids are too young to play outside on their own, the weather is bad, or the kids just aren’t wanting to play outdoors, there are many times these indoor activities for kids will come in handy. Also, check out these indoor games. There are several more ideas for kids, plus games for teens and adults too. In my dream world, the kids happily rush outside to burn off all that energy and have so much fun I have to call them inside when it’s time for dinner. In reality, they usually need some prodding and a few outdoor activity ideas to get them excited about playing outdoors. 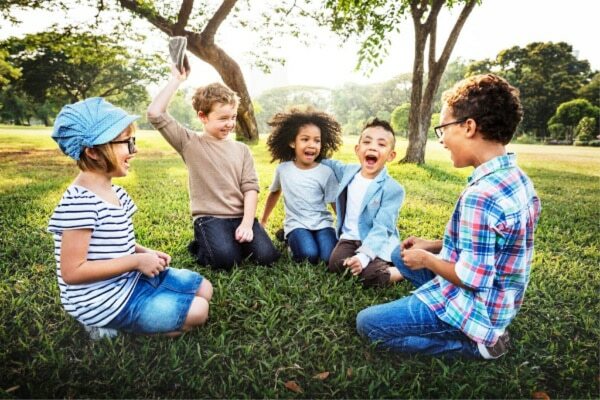 If you’re eager to get your kids out to enjoy some fresh air, you’re going to love these outdoor activities for kids. 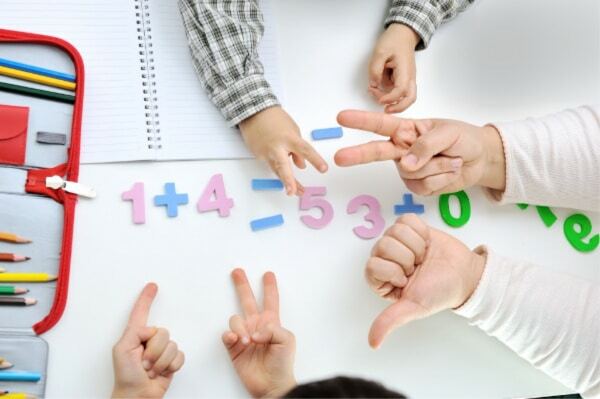 If you believe that learning can be fun, you’ll enjoy sharing these learning activities with your kids. Teens are at a hard age. They’ve outgrown many of the games and activities they enjoyed when they were younger, but they aren’t burdened by adulthood yet. 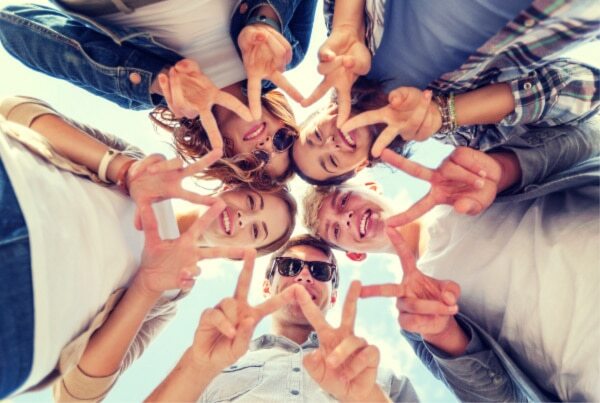 Thankfully, I’ve got four teens who have shared some of their favorite teen activities with me. I try to spend one-on-one time with each of my kids. When it comes to my boys, we’ve enjoyed several mother and son activities. Here are some ideas for your own mother son time. Many of my printables are seasonal activities and games. I’ve listed those printables below in the seasonal section. Often, I draw my inspiration from seasons and holidays. Here are some fun activities for kids for specific celebrations and times of the year. Until my children are all grown, I doubt I’ll stop thinking of ways to keep them entertained. Bookmark this page so you can easily find a ready list of activities for kids and check back often since I’ll continue to add more!